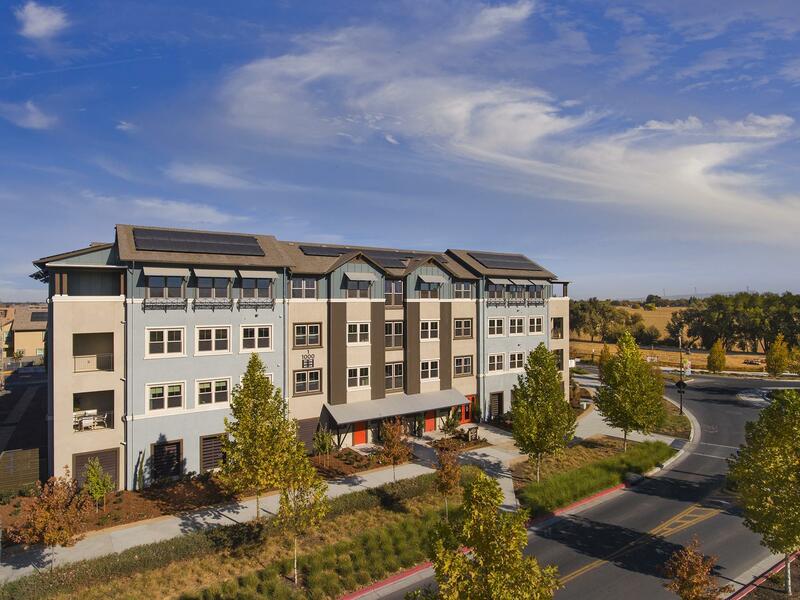 Gala is a new collection of single-story, elevator-served flats at The Cannery in Davis. As the final neighborhood to be built within California’s first farm-to-table new home community, residents will enjoy all the community lifestyle and educational amenities that both Davis and The Cannery have to offer. Gala, designed by Robert Hidey Architects, will offer a variety of floorplans featuring: 120 Single-Story Flats 1,191 to 1,995 Square Feet 2 to 3 Bedrooms 2 to 2.5 Baths Each residence features a private deck and offers direct access to a ground floor garage. Forty-eight of the flats are located within the southwestern part of the community along The Cannery Loop Trail. The remaining flats are found in the southern part of The Cannery, near The Amphitheatre and Market Park. The idea for living at The Cannery in Davis is pure and natural: Surround homes with parks and a working farm. Learn more about The Cannery at LiveCanneryDavis.com. We encourage you to join the Interest Registry today to be kept informed of the latest neighborhood news and progress during our pre-sales program.